Individuals with conductive hearing loss may report a reduction in sound level or the ability to hear faint sounds. 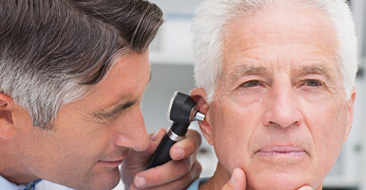 This type of hearing loss can often be corrected medically or surgically. 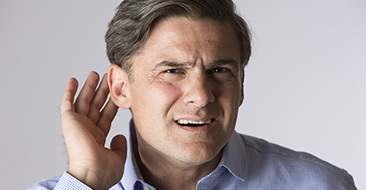 Individuals with sensorineural hearing loss may report muffled speech, ringing in the ears (tinnitus), difficulty hearing in background noise or that others do not speak clearly. Even when speech is loud enough to hear, it may still be unclear or sound muffled. Mixed hearing loss occurs when a person has an existing sensorineural hearing loss in combination with a conductive hearing loss. It is, very literally, a mix of sensorineural and conductive hearing losses. This means there is a problem in the inner ear as well as in the outer or middle ear. The conductive hearing loss may be temporary or permanent, depending on the source of the problem. This type of hearing loss ranges in severity from mild to profound. Mixed hearing loss can sometimes be treated with medical management. Hearing aids are a common treatment recommendation.